Thirteen students from Years 9 - 13 participated in MUNHigh, a two-day MUN conference at Manchester High School for Girls. Tasked with representing Qatar and The Central African Republic, the girls played active roles in their committees, debating topics ranging from the use of child soldiers (Human Rights Committee), reducing our reliance on plastic (Environment Committee), access to contraceptives and antenatal care (Health), and the use of robotics in law enforcement (Future), to establishing a universal basic income (Economy and Finance), state-sponsored militias (Disarmament), and rising nationalism (Political). Qatar found itself under fire in the International Court of Justice, which sought to achieve a ruling in the diplomatic crisis between Qatar and the Saudi-led coalition, where the bone of contention is Qatar’s alleged support for terrorism. Our delegations included both seasoned MUNers with several conferences under their belt as well as first-timers. 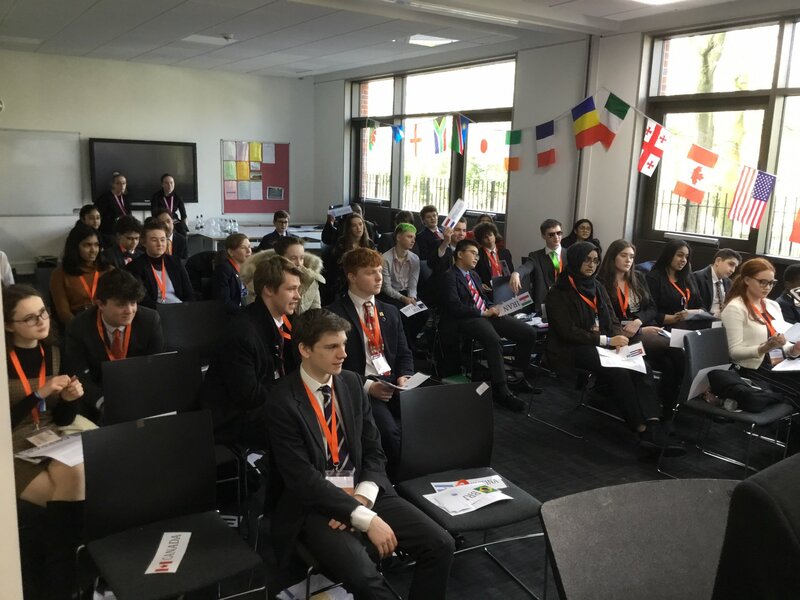 In our weekly MUN club sessions, the girls had prepared by researching their countries’ views and developing clauses and resolutions. 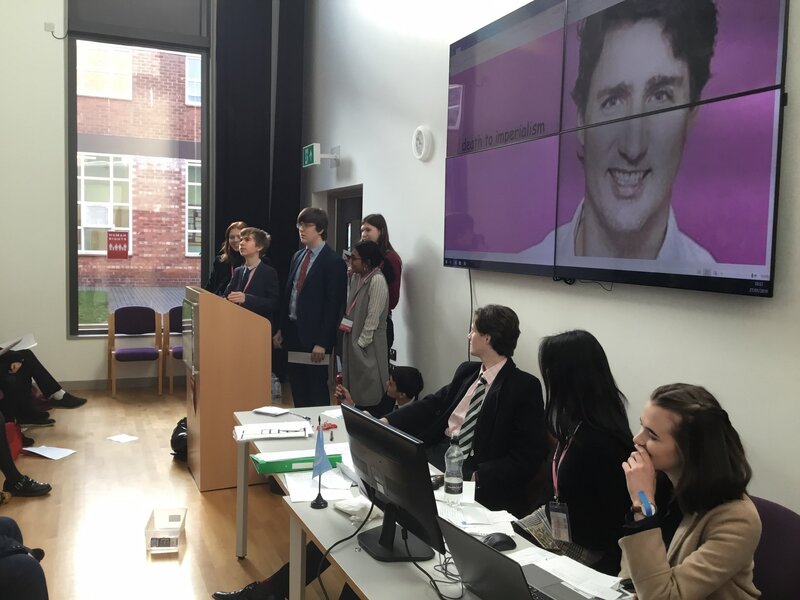 Led by experienced MUNers from our sixth form, practice debates were held so that everyone could familiarise themselves with MUN protocol and hone their public speaking skills. Dr Scherer was one of the teachers who accompanied the girls, he said: “It was good to see all our delegates embracing the challenges of MUN. The topical debates are of course demanding and require a great deal of preparation. But on top of that, there is the challenge of public speaking in front of a large group of people you have never met –having your point of view scrutinised and questioned by other delegates and having to answer their questions can be a nerve-racking experience!” Well done to everyone who took part, and congratulations to Jasleen, who achieved ‘highly commended’ in the Health Committee.